NSSLGlobal has revealed that, although crewmembers understand that they are partially responsible for maintaining cybersecurity on-board their vessels, 84 percent claim to have received limited or no cybersecurity training from their employers. To help crews better understand the cybersecurity risks they face, and as part of its ongoing campaign to promote cybersecurity at sea, NSSLGlobal will now include the firm's recently co-produced ‘cyber security at sea’ training video on all newly-installed equipment. In related news, NSSLGlobal is also announcing that the company has re-certified to the UK government-backed scheme, ‘Cyber Essentials,’ meaning the program has been ratified by the government body by adhering to cybersecurity standards in its infrastructure and systems. NSSLGlobal’s Twitter survey of 571 crewmembers reveals that although 64% of crews accept responsibility for security of on-board IT systems, the vast majority of maritime employers are not doing enough to help crews understand the risks they face, and how to avoid them. With the majority of attacks being targeted at people rather than IT infrastructure, the ‘human factor’ is widely considered to be the biggest risk in cybersecurity at sea. The maritime industry needs to provide thorough cybersecurity training and education to its crews to keep these risks to a minimum. Nigel Quinn, IT Security and Enterprise Manager, NSSLGlobal, commented that the lack of cybersecurity training is a real concern, but largely tallies with what the company is witnessing in the industry. With threat vectors and the nature of security threats constantly evolving, the maritime industry needs to be just as prepared as any other industry to tackle the issue head on. At NSSLGlobal, cybersecurity is taken extremely seriously and the company also understanda the importance of education. Even with the best technical solutions and tools in place, if people aren’t trained to a satisfactory standard and don’t understand what the threat is then customers put their systems at risk. 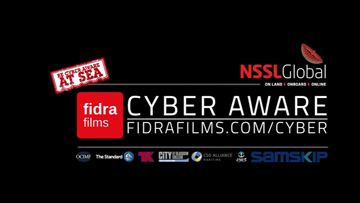 He added that as part of our wider cybersecurity initiative, and to support the training of crews on board vessels, NSSLGlobal has made their educational cybersecurity film, which was launched in July in collaboration with Fidra Films, available to all of the firm's maritime customers at no charge via the company's VSAT IP@SEA service. This film is designed to raise awareness of cybercrime and the steps needed to mitigate against it, which is particularly valuable in educating mariners as a first line of defence. To wrap this all together, the company's certification to the Cyber Essentials schemes gives customers and insurers assurance that they’re covered by industry-ratified security best practice and monitoring. @ nautilusint, @ Seafarers_Trust, @ SeafarersWeek, @ iswan_org, @maritimejournal and @IMarEST.